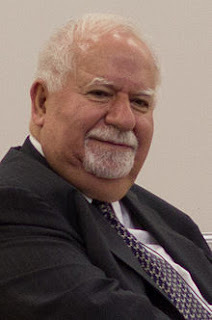 Vartan Gregorian was born in Tabriz, Iran, as a member of the Armenian Christian community there. His mother died when he was six years old and his father worked for an oil company, so he was mostly raised by his maternal grandmother. Gregorian went to elementary school in Tabriz, then managed to make his way to Beirut, Lebanon, for secondary school. In 1956, Gregorian moved to the United States to go to university at Stanford. He obtained a BA and eventually a PhD in History and the Humanities. Gregorian worked as a professor for a number of years before becoming a dean at the University of Pennsylvania (Faculty of Arts and Sciences), then president of the New York Public Library, then president of Brown University. He continued teaching throughout this time. Finally, since 1997, he's been the president of the Carnegie Corporation of New York, an organization created by Andrew Carnegie a little over a hundred years ago to distribute his vast wealth. I have to say that Gregorian has blown me away compared to the other board members I've profiled so far. This guy is driven and seems to care tremendously about education. This 2003 interview is long but worth a read. It gets into some sketchy territory at the end where Gregorian and the interviewer both start knocking vocational training a little bit, but I agree in general that arts and humanities education are more important than we're often willing to acknowledge. From what I could tell, Gregorian has "only" written two or three books, one of which is his autobiography.